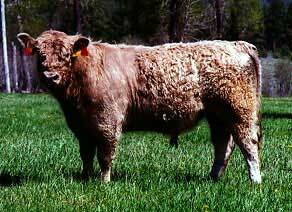 What Does the Galloway Breed Offer Todays Beef Industry? 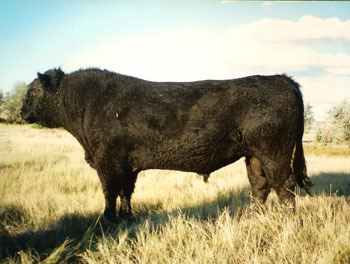 Today's Galloway breeder recognizes current beef industry trends, seeing the Galloway's potential role in crossbreeding and composite breed programs. 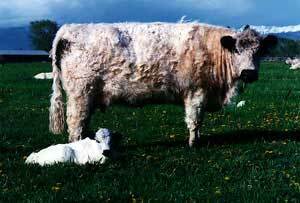 The American Galloway Breeders' Association attuned to industry needs, offers an Appendix Registry system in addition to and kept separately from their purebred registry program. Both systems, as well as the EPD program are computerized. Additionally, the AGBA sponsors a National Show and Sale, hold annually in conjunction with their Convention, the third week of October, in Billings, Montana. Additionally, the AGBA arranges for ultrasound measurements for carcass traits, as well as measurements for frame size, pelvic capacity and scrotal circumference. Material written specifically for the Breeds of Livestock project, Patricia Pruitt, Publisher, The Galloway Press. Phone: (406) 587-3031. Modern Breeds of Livestock, Hilton M. Briggs & Dinus M. Briggs, Fourth Edition (1980).